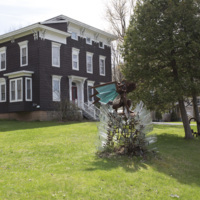 Nick Becker, “One Eye Pete,” Art Oneida, accessed April 20, 2019, http://artoneida.org/art/items/show/221. Description: A fantastical creature named One Eye Pete stands guard along Utica Street in Clinton. 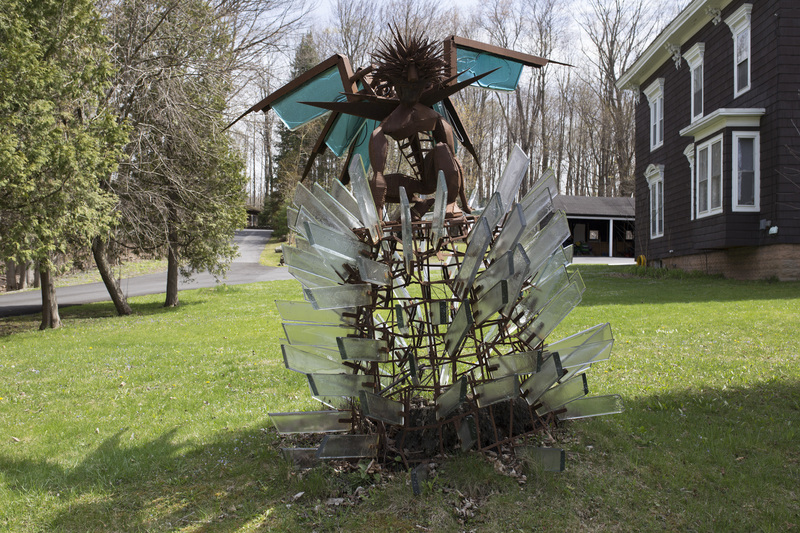 Metal and glass wings outstretched, his head is covered with spikes, a contemporary reminder of a medieval grotesque or gargoyle. He perches atop a tower of shards of clear glass, protruding from a steel mesh frame. Nick Becker created One Eye Pete for his senior thesis exhibition for his Bachelor of Fine Arts at the College of Ceramics at Alfred University. 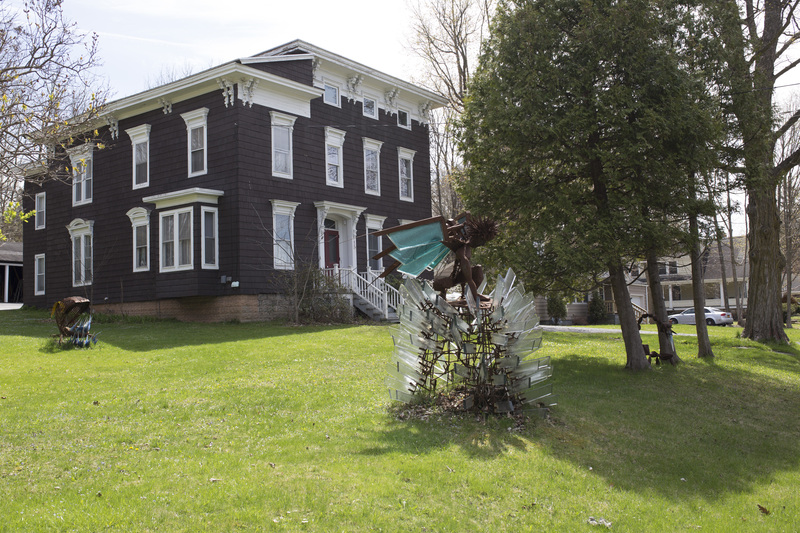 After that, this work was installed on Norton Avenue in Clinton for a few years before coming to his current location. The title came after the fact that one of Becker's friends almost lost an eye while helping to install the sculpture. In the same yard near One Eye Pete you will also find two other works of Becker’s that were created around the same time. All of these share a unique combination of handmade glass and welded steel in a figurative or anthropomorphic form.